The Centre for Research in Photonics provides users with open access to cutting-edge tools within the research facility, specializing in nanofabrication and characterization. Our facilities are open to both academic and industrial researchers, which makes the Centre ideal for prototype development and fabrication. The Centre is managed by the Director, Administrative Assistant, Lab Manager and two Lab Technologists. 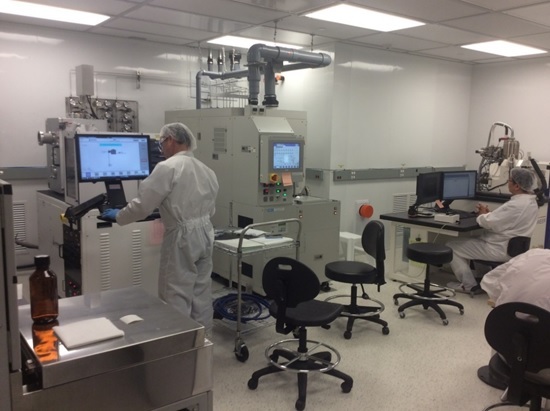 This team maintains the facilities, instructs and assists users, and provides nanofabrication services to help clients achieve their research goals. 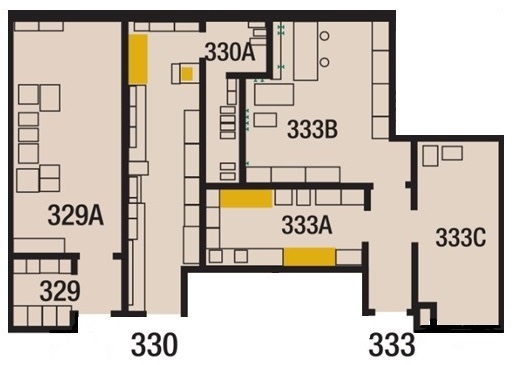 Our lab facilities are located on the third floor of the Advanced Research Complex (ARC) at the University of Ottawa (25 Templeton St.). There are three labs: wet chemistry, metrology, and white and yellow clean rooms (Class 10,000). 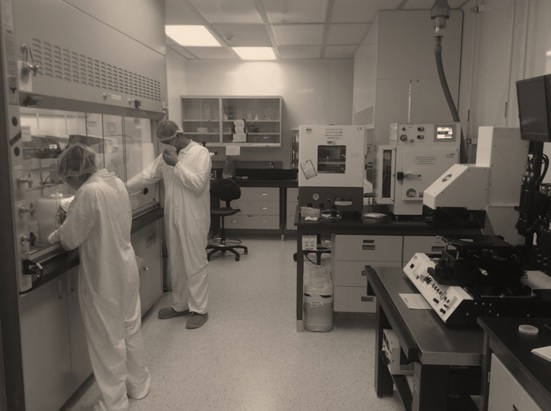 All of our labs have a processing capability of up to four-inch diameter wafers and pieces, with the exception of certain beam tools, which accepts wafers of up to two inches in diameter or small pieces. Please refer to our User Access page for further information. Facility: staffed 8:00 am to 5:00 pm Monday to Friday, with the exception of holidays. Administrative Office (ARC 350): Monday to Friday from 8:00 am to 4:00 pm, with the exception of holidays. Please see the list below for more information on specific equipment and applications.